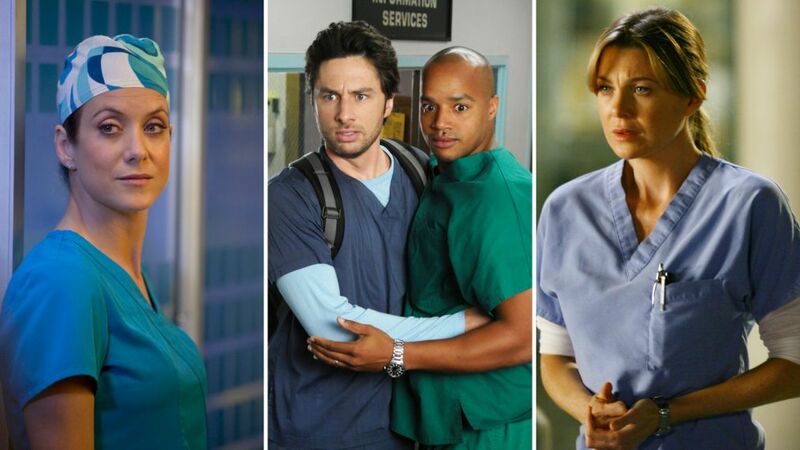 Will ABC Be Patient With Its New Kids? Matt Roush: This is one of my new favorites as well, and I plan on giving it another shout-out next week when it airs an episode dealing with the Vietnam draft (haven’t had a chance to watch yet). The irreverent tone set by the extraordinarily well cast parents, and the interplay among a group of very funny and distinctive kids—all boys, which is part of the joke—does send out vibes reminiscent of The Middle, albeit with an added glow of nostalgia for the changing times of the 1970s. I figure Kids, not unlike The Middle, will likely go ignored by the industry, which rarely showers awards on traditional family sitcoms anymore (Modern Family in its heyday and black-ish being notable exceptions). But I’d be surprised if ABC doesn’t stick with this one for a long while. It’s an in-house production, reviews and buzz are generally strong and positive, and it fits the network brand beautifully. Why Use Two Actors to Play One New Character? Matt Roush: The criticism of Rebecca’s older-age makeover not being particularly believable is a fairly constant one, but one of those things a This Is Us fan just has to live with. The core cast is so established in our minds that recasting for an Older Rebecca probably never even was considered—much like the flash-forwards of an Older Randall wouldn’t make sense with anyone but Sterling K. Brown in old-age makeup. With the character of Uncle Nicky, it’s more of an opportunity to give two fine actors a chance to interpret a complex character, and while Michael Angarano (young Nicky) is only three years younger than Mandy Moore, so it could be argued that he could be made up to play the older version, it’s so much more effective to have an age-appropriate actor with the gravitas of Griffin Dunne take on the part, so we’re not distracted by makeup issues at the very least. And I agree: This storyline is This Is Us at its best, and both actors are excellent. Did Good Doctor Miss a Teaching Moment? Matt Roush: That’s a fair point, and maybe ABC should have aired a PSA to call attention to SPD. But to be honest, while I personally was not aware that this condition had a name, I more than understood that Shaun was experiencing sensory overload as a symptom of his autism—echoed in the most recent episode by the autistic patient’s roommate/boyfriend, who was so sensitive to light. Sometimes dramatizing a condition has as much if not more impact than spelling it out in exposition, but when it comes to The Good Doctor’s illumination of the human condition of autism, you can probably never err on the side of too much information. Matt Roush: In a nutshell, you have described the conventional critical wisdom about CBS’s formulaic programming. To be fair, when the network does try something different (remember the brilliantly weird BrainDead? ), few tend to show up and it implodes. I would also argue that Madam Secretary doesn’t feel like an assembly-line product, and I’m very intrigued about the upcoming serialized drama The Red Line, which will air eight hours over four Sundays this spring, indicating the network doesn’t always play it safe. But usually, yes. Matt Roush: Here’s where the business of show business comes into play. 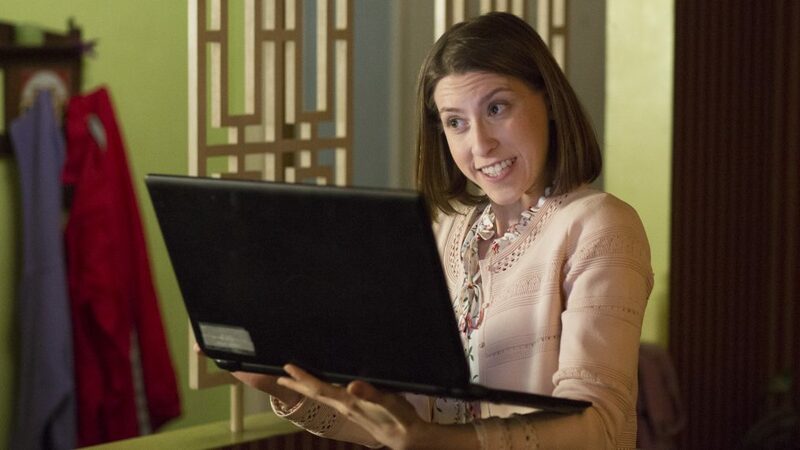 As much as we revere The Middle and Eden Sher as Sue Heck, it’s nowhere near as popular or lucrative a franchise as a juggernaut like The Big Bang Theory, and CBS made the smart move of spinning off the younger version of Sheldon while Big Bang was still active, giving Young Sheldon a sure-fire lead-in. The ABC/Disney/Fox merger is very complicated, and I imagine this won’t be the only casualty—if there even is a connection between the two events. As for the Warner Bros. studio shopping the Sue spinoff around, some industry trade reports have suggested that as a possibility, so who knows. But if it’s going to happen, it had better do so soon. Matt Roush: Humans (a favorite of mine as well) is currently in limbo, and I haven’t seen an update since summer, at which point the show’s producers were indicating that talks were ongoing for a fourth season. If it happens, I imagine AMC or someone will broadcast it here, even if in the margins of prime time. But the Brits will likely have to make the first move on this one. Matt Roush: Well, half a year anyway. (The last episode aired in mid-June.) It’s beyond me to decipher AMC’s programming strategy, which isn’t all that uncommon with cable networks that don’t operate on regular seasonal timetables. But the back half of the 16-episode third season will air sometime, and I’m confused as well at the delay, because I was under the impression this was one of the channel’s more popular series. Matt Roush: Rarely a week goes by without someone asking about this Western series, which hasn’t been seen since the 10-episode first season wrapped in June of 2017. AMC renewed The Son for a second season around that time, and I haven’t a clue why it’s taken so long to return. But the last time I saw a network promo, clips from The Son were included, and there is talk that both Son and Badlands will be back on the lineup sometime this spring. Stay tuned.